The Great Green Climate Challenge was started during Climate week, last week. We are really pleased to have received 23 pledges from companies and individuals to save a total of around 1,476 kilograms of Carbon Dioxide. Hopefully the changes our pledgers made will encourage them to keep making these energy saving measures through the rest of the year. 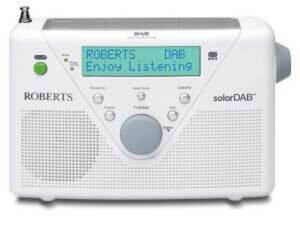 You may remember that as an encouragement to make a pledge during Climate Week we offered our readers a chance to win a Solar-powered Radio. Congratulations to Aoife who pledged to Veg Out – avoiding eating meat for two months form the date of her pledge. Her individual contribution could save as much as 55kg of Carbon Dioxide. Her name was pulled out of the hat by Charlotte from Be Energy Smart and her prize is already winging its way to her, courtesy of Green Reviews. Green Reviews is a website specialising in reviewing Green products, you may want to check out what they recommend if you are thinking of making a new purchase and want to make it a greener one. It has been great swapping stories with our partners in this Great Green Climate Challenge, which was set up for us by Charlotte from Be Energy Smart. You might want to check out the Be Energy Smart blog for news from her on how she is getting on with her own energy-saving pledges, or you can take advantage of their Free online Energy Assesment Tool, if you are thinking of carrying out some energy saving home improvements. If you decide you want to make energy saving changes to your house then why not read our project on how to fit loft insulation. Did you know that all our projects also have a list of related projects? They are listed in a box in the left-hand column, with quick links to each page. Hopefully this helps you to read all the useful information you need when researching home improvement jobs.